Ear infections are extremely common in children. In a Boston study of over 2500 children, over 70% children had at least one ear infection by the age of 3; one-third of those children had had three or more episodes. Relevant to the impact on hearing and learning through listening, over 40% still had fluid in their ears after 40 days. 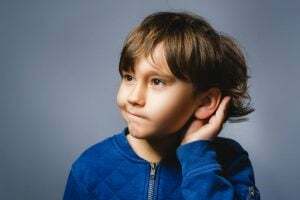 Interestingly, Dr. Bredmore found that children with ear infections-only differed from dyslexia-only students by their selective impairments in segmenting sounds and blending phonemes. Read her original paper HERE.